On June 6th, the West Village will become the home of a new art gallery called Bleecker Street Arts Club. It's the brainchild of Stephen Werther and Daniel Benedict, who told the Wall Street Journal, "We didn't want to be a Chelsea white box. We wanted a more social experience for art. People can come in and see what they react to. It's not a Soho House or a Norwood, but we definitely want a club-like feel." 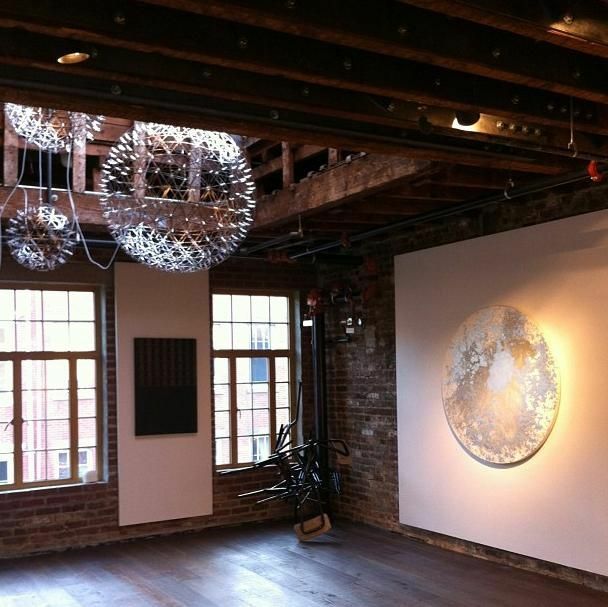 They plan to show both new and more established artists in the two-floor space at 305 Bleecker Street. Their public opening is June 6th from 6-8pm. It includes two shows, including a group show called "Flat Field" curated by Halsey McKay Gallery, with works by Patrick Brennan, Cris Duncan, Joseph Hart, Lauren Luloff and more, and an exhibition of new works by Matt Mignanelli and Ryan Wallace. Electronic music artist Kodomo will will perform.